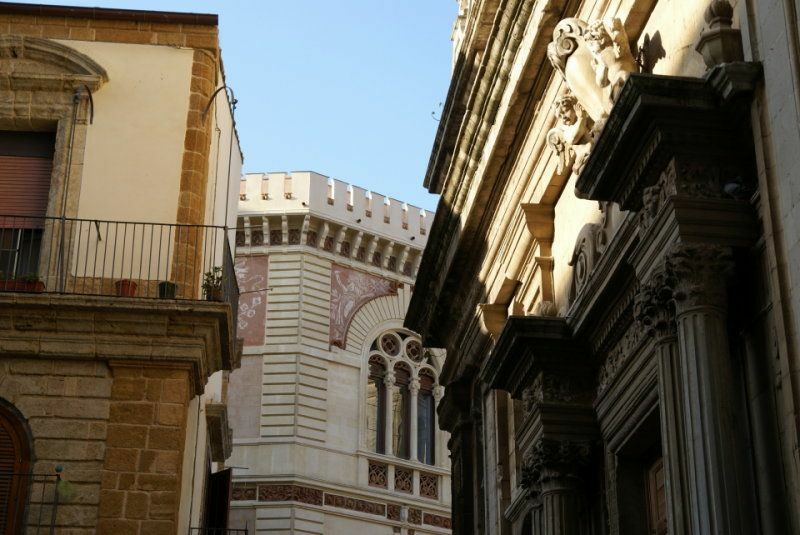 The excellent quality of clay in the region where Caltagirone can be found has provided it with an excellent raw material from which make ceramics, an industry that has made the town famous. Caltagirone has produced beautiful ceramic pieces for over 1000 years. At first terracotta was the material used, until the Arabs seized the town and introduced the use of clay. They also brought the many colours now used in the creations notably Caltagirone ‘s distinctive colours, yellow and blue. Caltagirone’s name comes from the Arab words castle and cave. After the earthquake in the 17th century that destroyed it, Caltagirone took a new direction with its reconstruction in the baroque style. Majolica started to be decorated with more liberal motifs. In the 20th century ceramics was given a fresh start with the inauguration of the School of Ceramics. The tourist information office is located on Via Duomo close to Piazza Duomo. Its website and staff are very resourceful. 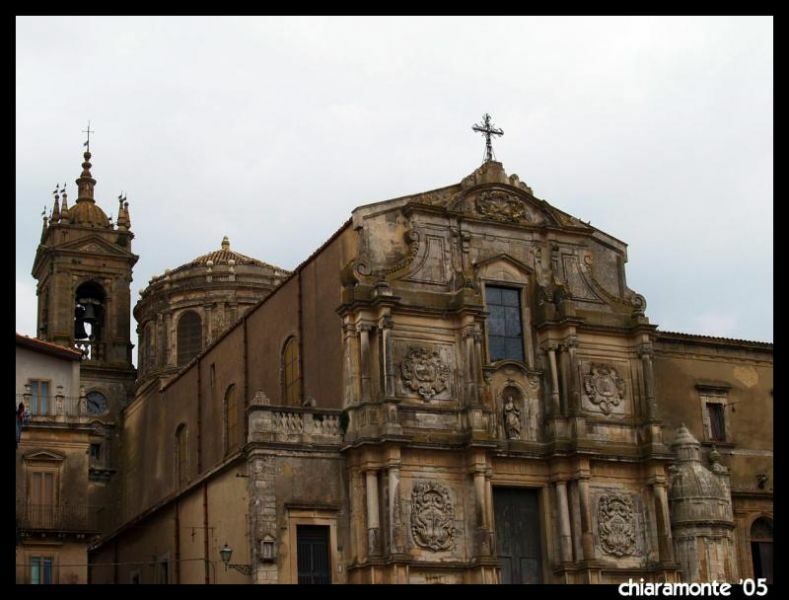 The busy upper part of Caltagirone has baroque buildings and churches worth a visit. 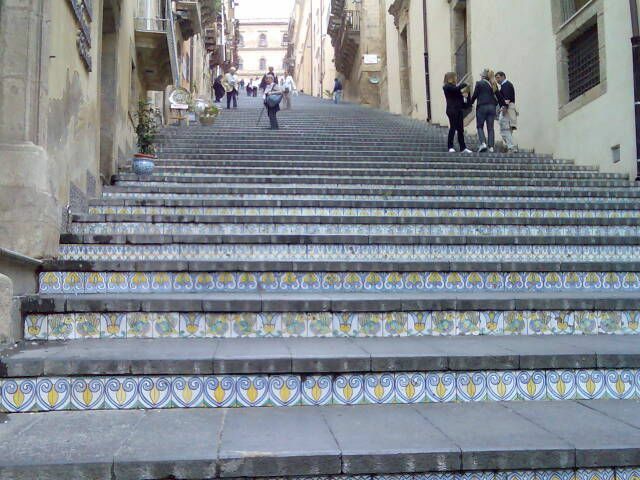 The steps leading from Piazza del Municipio to Chiesa di Santa Maria del Monte, called Scalinata di Santa Maria del Monte are tiled with hand painted mosaics. On the Scalinata ceramic shops sell their wares which you can watch being made. The typical terracotta figurines of the nativity scene are displayed throughout December to celebrate Christmas. The feast of Saint James, Caltagirone s’ patron saint is celebrated on 24th and 25th July on the steps with over 4000 oil lamps lighting the way and a procession ascending towards the Chiesa de Santa Maria del Monte. Museo Regionale della Ceramica, also in the upper part houses tells the history of ceramics from prehistoric times up until today. On Via Vespri La Piazzetta focuses on regional cuisine which is excellently prepared. Don´t judge Non Solo Vino on Via Vittorio Emanuele by appearances for its cuisine and wine, although simple is excellent. On the scalinata among the ceramics shops is La Scala. Sit here and enjoy fresh pasta and local wine. Il Palazzo dei Marchesi di Santa Barbara (Via Bonaventura) is housed in a palazzo. It serves good food with particularly delicious desserts and friendly staff. BY BUS: from Enna (duration: 1 ½ hours, services 3 a day Mon–Sat, only 1 a day on Sun), from Palermo(duration: 3 hours, services: 2 a day from Mon-Sat, only 1 a day on Sun), from Syracuse (duration: 3 hours, services: 1 a day from Mon-Fri), from Piazza Armerina (duration: 1 hour, services: 8 a day from Mon-Sat, only 1 on Sun). BY TRAIN: from Gela (duration: 40 minutes, services: 9 a day), from Catania (duration: 1 ¾ hours, services: 10 a day).